Arequipa: Pick up from the respective hotel. 2.20 pm. City tour Countryside by panoramic bus in the city of Arequipa. 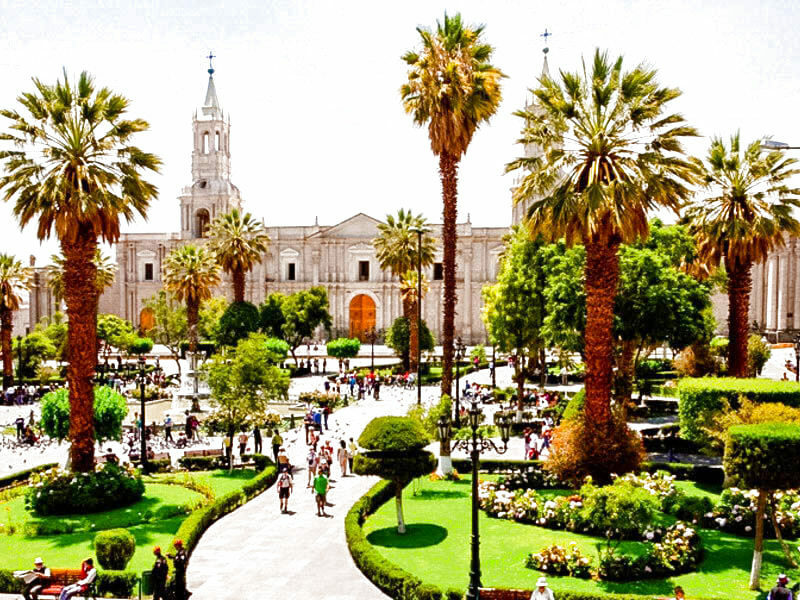 Start from Tourist Stop at the Plaza de Armas of Arequipa. Plaza and Mirador de Yanahuara. Founder's Mansion (Optional - S / .12). Molino de Sabandía (Optional - S / .10). 6.30 pm. Arrival at the Plaza de Armas. 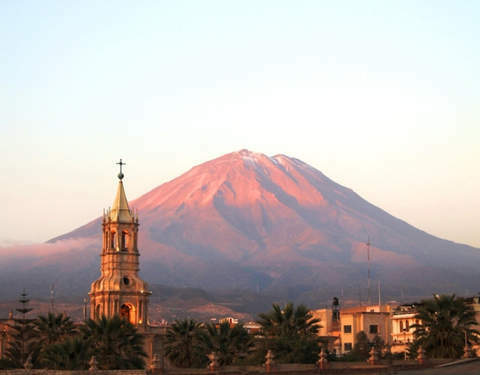 Between 7:30 a.m. to 8:30 a.m. We leave from Arequipa towards the town of Chivay, in a journey of 3 hours approx. We will visit the area of Pampa Cañahuas, habitat of the South American camelids (Alpaca and Vicuña). We will make a stop in Patahuasi, where you can taste a Mate de Coca or some hot drink (optional). We will cross the highest point Patapampa with its 4,900 masl, there we will be able to appreciate the tutelary volcanoes of that area. 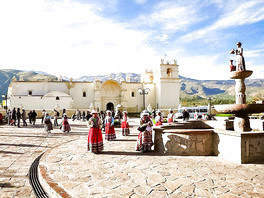 12:00 noon We arrive to Chivay, main town of the Colca Valley. Transfer and installation and accommodation. Here we will enjoy our Lunch (on behalf of the traveler). In the afternoon we will go to the Thermal Baths of La Calera (optional, on behalf of the traveler). Dinner accompanied by a Folkloric Show (not included). 5:30 a.m. to 6:00 a.m. Breakfast at the hotel. 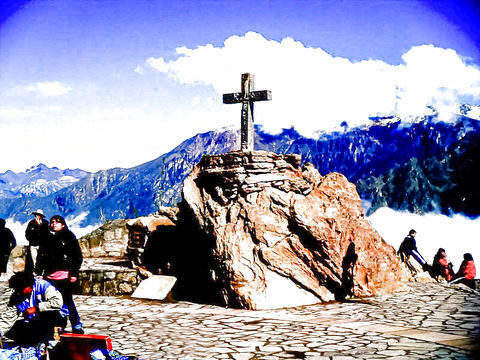 6:00 a.m. to 6:30 a.m. We go to the Mirador de la Cruz del Cóndor, in a journey of 1 hour and a half aprox. From here we can appreciate the flight of the Condor, the king of the Andes, for approx. 45 minutes. We can take pictures, buy souvenirs and have a good time. 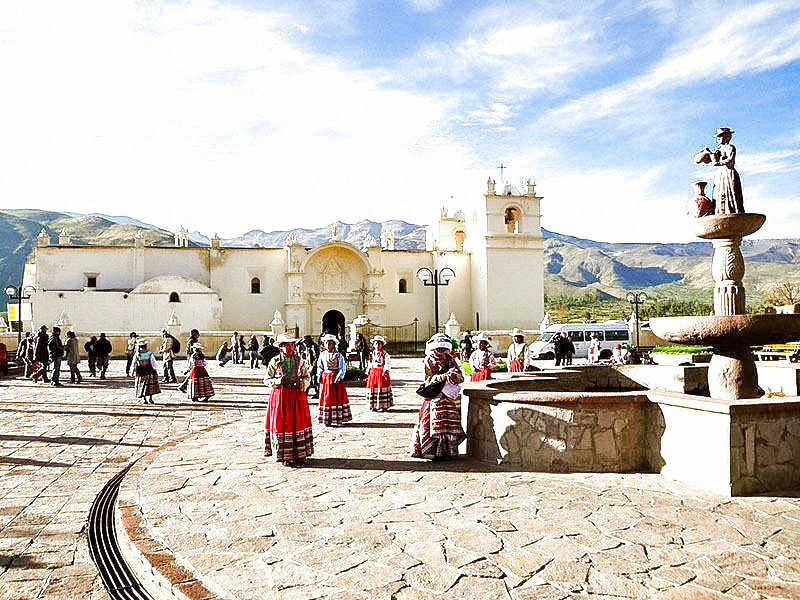 We will continue our traveling experience towards Chivay passing through the traditional village of Maca, characterized by its picturesque plaza and church. 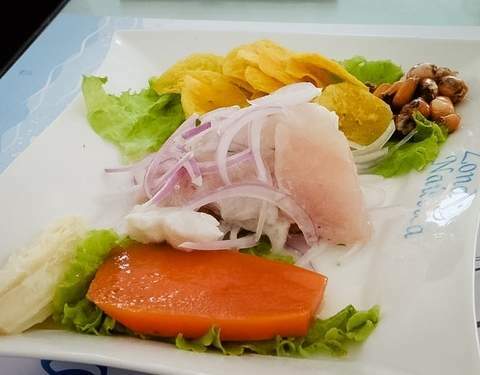 There you can taste a Colca Sour, prepared with the fruit Sancayo. We continue with our tour, arriving in Chivay at 12:00 - 12:30 pm. 2:30 pm approx. 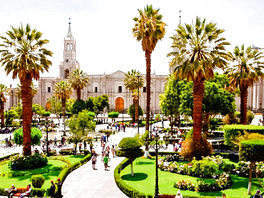 Return to Arequipa. 4:30 p.m. 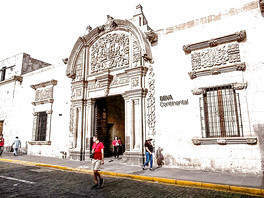 Arrival to Arequipa. 1 Nights accommodation in Arequipa (Hotel 3 *). 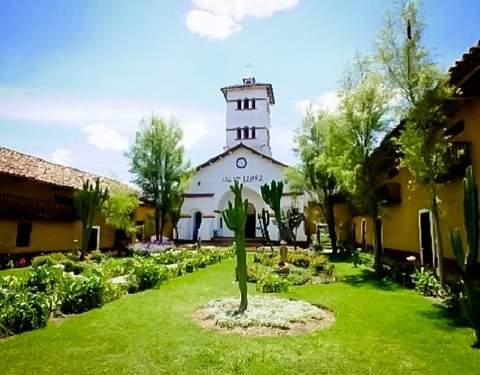 1 night accommodation in Chivay / Colca Valley (2 * Hostel): Urinsaya, Marvels of the Colca, Rojas or similar according to availability. City & Campiña panoramic bus tour. Transfers to all the mentioned tourist places. Guided Professional Spanish / English. Transfers Airport or Terminal Terrestre / Hotel (arrival and return). >> Mansion of the Founder - S / .12 / Molino de Sabandía - S / .10. >> Both visits are totally optional. 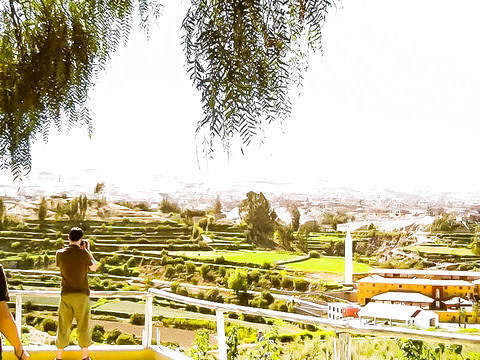 Entry ticket to the Colca Valley: Peruvian S / .20 / Latin American S / .40 / Non-Latin Foreign S / .70 (mandatory payment per person). Entrance to the La Calera thermal baths (S / .15) - Optional visit. 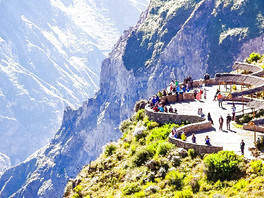 The tours detailed in itinerary are provided in Shared Service. CHILDREN: Children under 4 years old can go on their parents' legs. From 5 years old, they pay full rate. The itinerary can be modified in your order due to weather or emergency changes. This in order to provide the best service. Full Day to the Colca Valley. 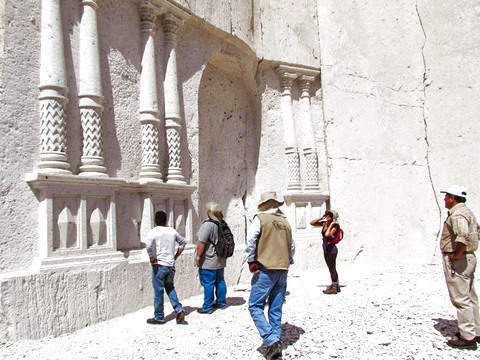 Tour to Sillar Route - Arequipa.